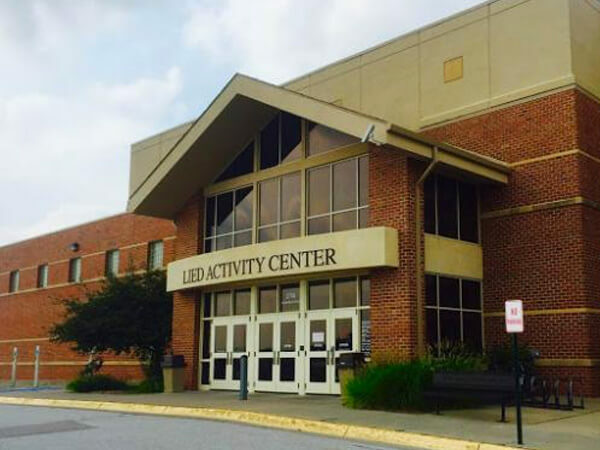 History: The Lied Activity Center was constructed to meet the additional facility needs of our students and staff. When the facility is not in use for school activities, it is available for families and patrons of the Bellevue Public School District. Additionally, the Lied Activity Center began expanding membership opportunities to Bellevue residents and the surrounding communities on January 1, 2016. After 15 years of wear, the existing floor and track systems at the Lied Activity Center is being scheduled to be replaced. The Bellevue School Board has approved a contract with Kiefer USA to install a new Mondo floor system over the existing Mondo floor system currently in the building. It is anticipated that the flooring work will occur during late Summer of 2018 which will temporarily close the floor areas for the installation of the materials. Coordination of operating hours for the closure of the floor will be coordinated by the Lied Activity Center staff. After 15 years of wear, the existing floor and track systems at the Lied Activity Center is being scheduled to be replaced. The Bellevue School Board has approved a contract with Kiefer USA to install a new Mondo floor system over the existing Mondo floor system currently in the building. It is anticipated that the flooring work will occur during July of 2018 which will temporarily close the floor areas for the installation of the materials. Coordination of operating hours for the closure of the floor will be coordinated by the Lied Activity Center staff.